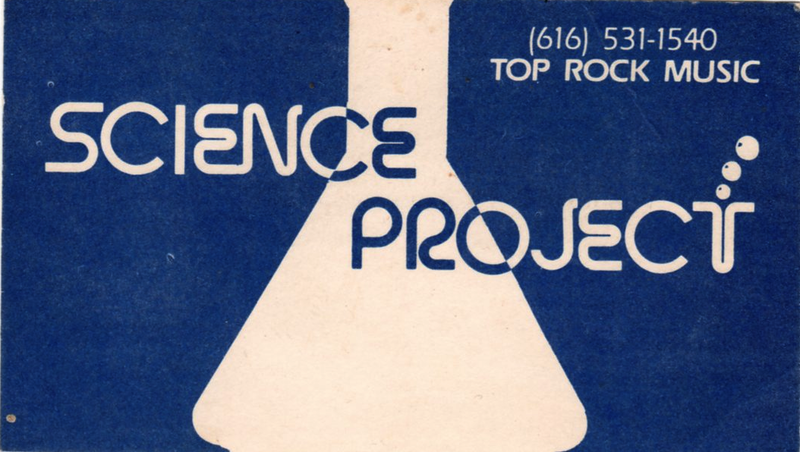 - 1991 - TRICKS v3.0 begins - "The Next Generation"
- 1986 - Rick leaves in May to join Science Project. Rick is recruited to join the wedding band "Nightwind"
Steve plays drums with Middleville band "Asult"
Steve plays drums with "New Romance"
with "Rusty Long & The Midnight Review" (with Rich Heintzelman on bass). - 1974 - Bill Roelofs leaves Patchwork to join "Straightlight". Steve does a couple gigs drumming with Patchwork. Rick buys his brand new Les Paul guitar at a small music store in Belding, Mi. - 1973 - Rick and Bill are looking for more challenging music to play, so they form "Patchwork" with Jeff Nelson and Rich Heintzelman after the demise of their band, Phoenix. We still get some gigs from Gini Sasso, but we also start getting bookings from Leroy Purcy, Patchwork's song repertoire is much less dance-oriented, and more challenging, including songs from Allman Brothers, Foghat, King Crimson, Led Zeppelin, and Rolling Stones. 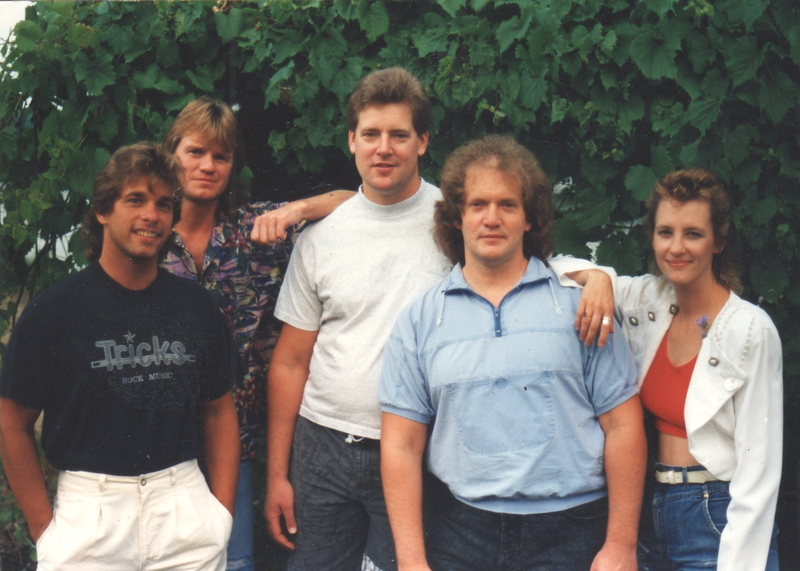 - Rick plays with Blackwood band at lots of weddings, high-school homecomings, and proms. 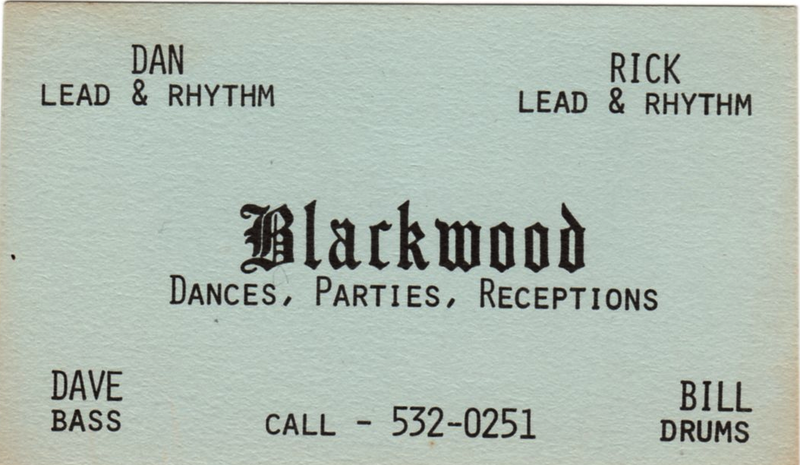 Rick's first gig with Blackwood is a 1972 New Year's Eve party at Red Carpet Inn, Grandville. Blackwood's song repertoire included lots of prom and wedding material, including lots of Bee Gees, Alice Cooper, Hollies, and Beatles. Rick joins "Blackwood" after seeing their ad on a bulletin board at Farrow's Music in Grand Rapids. 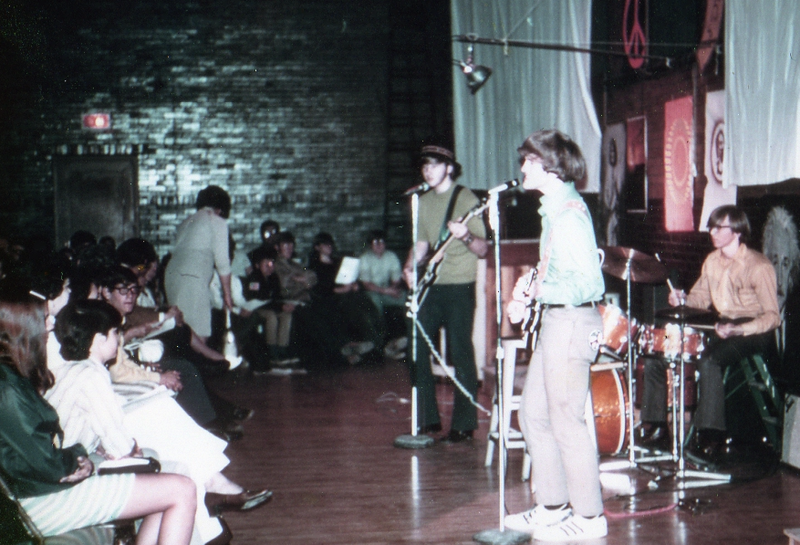 With Bill Roelofs, Dan Bellanger, Dave Bellanger, Blackwood was a more professional band, with an agent, Gini Sasso. - 1970 - Rick buys his first "professional" guitar. The Sunn is jamming somewhere in the backyards of Dorr one Sunday, and the lead guitarist of "Me And Dem Guys" stops by to chat. He has a guitar for sale, and Rick eventually buys his 1961 Gibson SG Special , and his Fender Super Showman amplifier (with eight 10" speakers - three that weren't blown). - 1969 - Steve buys a snare drum from Steve Kaczanowski, an old polka-band musician. 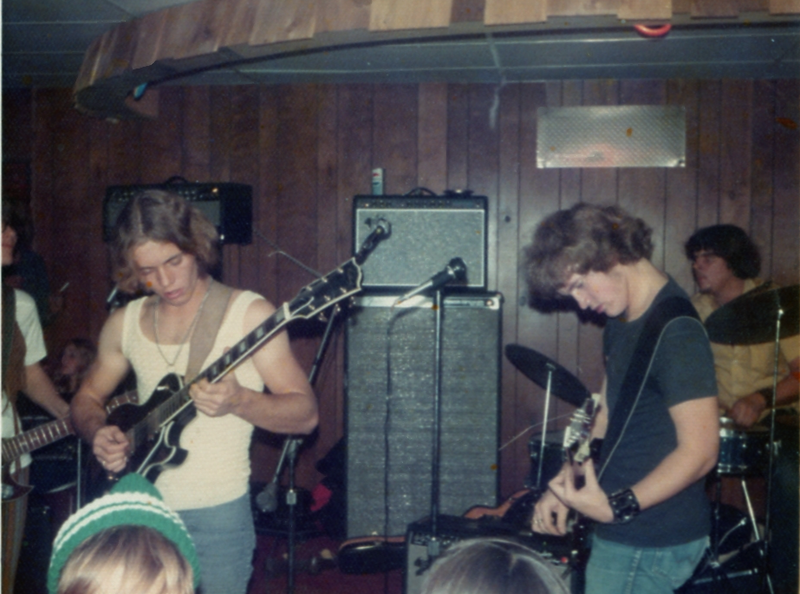 - Having been recruited to be the bass player in The Sunn, Rick gets his first bank loan at 15. For $200 he buys a cheap "Greco" hollow-body bass and an Ampeg B15N "Flip Top" bass amp . Within the first year of playing with The Sunn, Rick starts switching to lead and rhythm guitar, swapping off the bass playing duties with Joe. with Joe Schumaker, Cal Schaeffer, and Keith Weber - all local Dorr boys. Keith is the only one who is 16, so he has to drive us to our gigs. 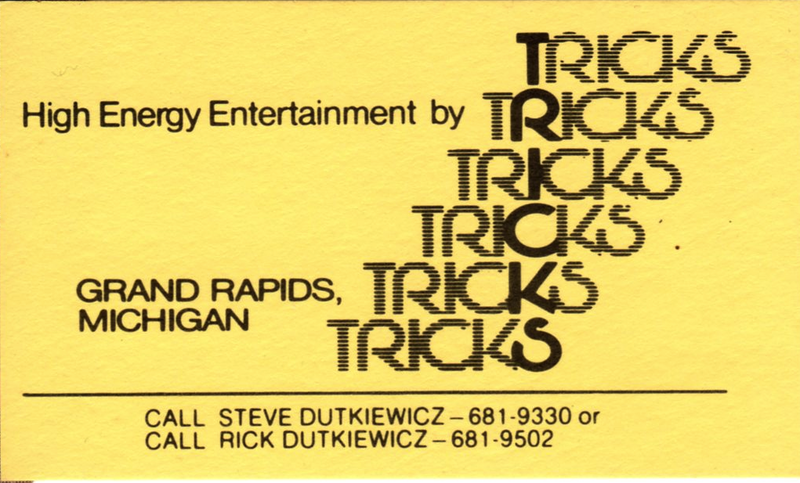 The first Sunn gig with Rick onboard is at the Byron Center Roller Rink - we each got $5.00. The Sunn plays many Parties, High School dances, and Wedding Receptions in the Dorr, Wayland, Byron Center, and Hopkins area. - 1967 - Rick gets his first guitar; a cheap nylon-string classical guitar from his uncle Tom Donahue, who is moving to Germany for a teaching job at an American military base. At St. Joseph's Seminary, Rick borrows steel-stringed guitars from other freshmen and sophmores, including a decent 12-string which really helps the hand strength. 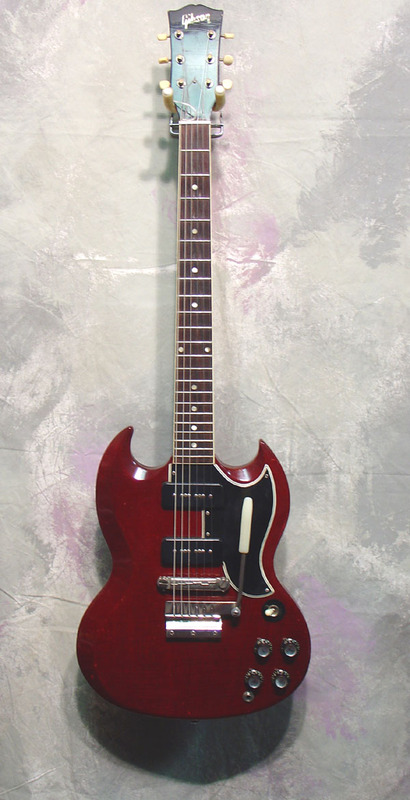 Around Christmas of 1967, Rick buys a used cheap guitar & amp from Johnny Schumaker for $20. - 1966 - 13-year-old Rick gets a ukulele, a banjo uke, and accordian. - 1965 - Rick, at age 12, takes piano lessons from his mom. - 1955 - Rock and Roll music is born . . .